At obedience school or in private, puppies and young dogs are socialised and challenged using a variety of training methods to help them integrate smoothly into our daily lives. As the dogs get older, however, we increasingly – and unconsciously – reduce the level of regular training and challenges. "Yet this restricts the opportunities to create positive mental experiences for the animals, which remain capable of learning even in old age," explains first author Lisa Wallis. "As is the case with people, dopamine production in dogs also falls in old age, leading to a decline in memory and motivational drive. But this natural mental deterioration can be countered with the specific training of cognitive skills." Using simple tasks that can be solved through touchscreen interaction, followed by a reward, even old dogs remain willing to learn. "The positive feeling created by solving a mental challenge is comparable to the feeling that older people have when they learn something new, doing something they enjoy. 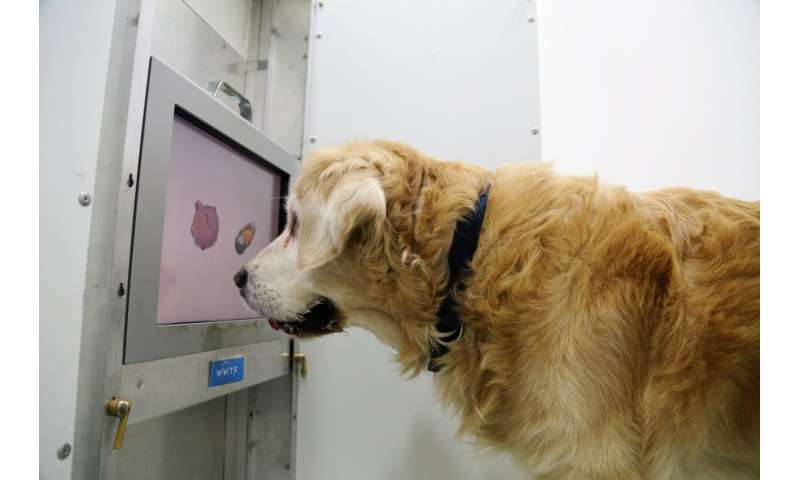 Regular brain training shakes not only us, but also dogs out of their apathy in old age, increasing motivation and engagement and thus maximising learning opportunities," says Huber.